[Special Promotion] Look past the flashing lights and Hello Kitties beckoning you inside Sanrio Puroland theme park, because there’s much more attractive about the Tama area than this. 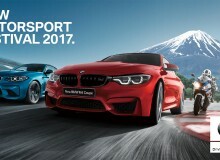 The Tama area sprawls deep into the Kanagawa Mountains−where the Tama Rivercalm and idyllic at times, and a torrent of waterfalls at others−splits the lush ranges. Here, you can forget the city in the deep forests and vast underground limestone caverns. The Tama area is only a train ride away from central Tokyo. Take the JR Chuo line all the way west and you’ll end up at the base of the Okutama foothills in just two and a half hours. When you step off the train, you’ll be hit with crisp mountain air. After inhaling it deeply a few times, you’ll forget the city, left far behind you. You’re ready to begin an adventure. The culturally inclined might be interested in exploring the Ome area. This area boasts a prestigious history in textiles. 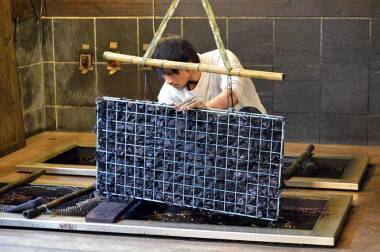 The Kosoen Dyeing Studio offers a hands-on shibori-zome (handmade indigo dyeing) experience. This technique for dyeing fabrics began in the early Edo-era of Japan, and remains mostly unchanged since. While the intricacies of this art may take decades of practice and generations of expertise to master, even as a complete beginner you will with the skill to make with an elegant design of your own. 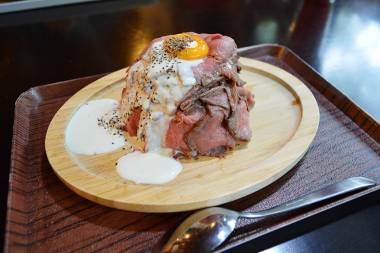 When your stomach starts to growl, head to the picturesque Canyons and Okutama Cafe Awa in the Okutama Mountains. 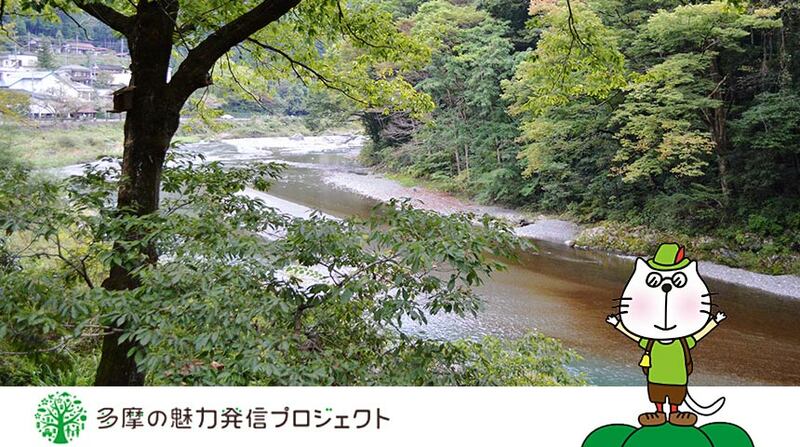 It lies between the trees on the banks of the beautiful Tama River, where you can sit and watch it flow by. The cafe serves delicious dishes including vegetable curries, barbecue style meals and even pavlova for dessert. Also at the café, you’ll find the activity tour group, which operates a range of river experiences that you can take part in. They offer tours ranging from peaceful pack rafting through gentle waters, to canyoning down the region’s waterfalls. Thrill seekers will find themselves plummeting tens of meters at a time and sliding and climbing down the natural formations of the river. However you spend the day, your evening is best begun with a trip to one of the onsens in Okutama town. Moegi no Yu heats water that comes fresh from the mountain. 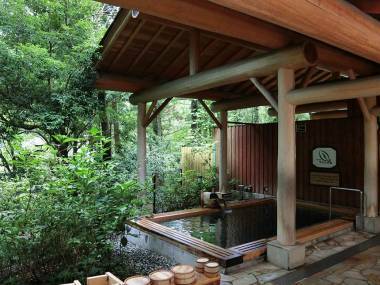 Soaking in the hot water will help ease away your tensions as you relax in Okutama’s mountains. End the day with a locally brewed craft beer at the nearby Beer Cafe Vertere while looking out over the stars rarely visible in the city. You can also buy beer to take home with you.